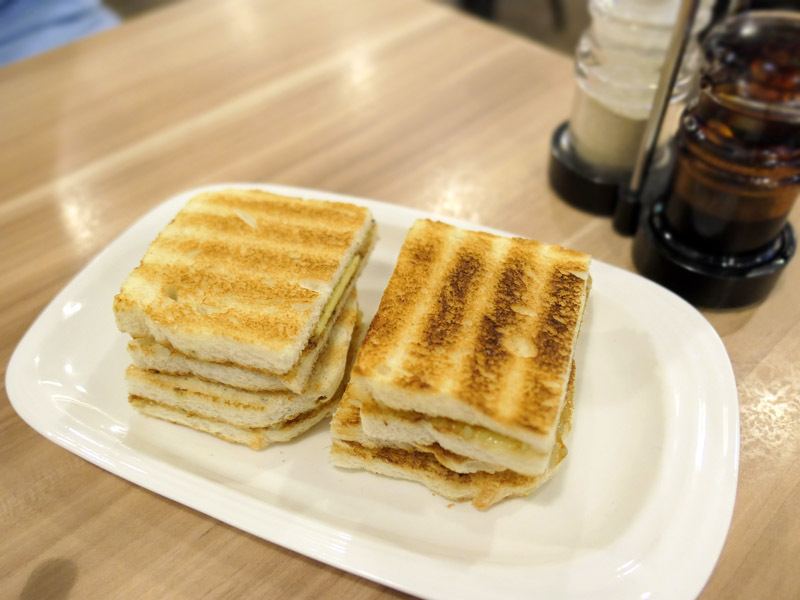 Elementary breakfast meals ever, but seem to be so fine that I’d have them twice during my stay if I were in Singapore. 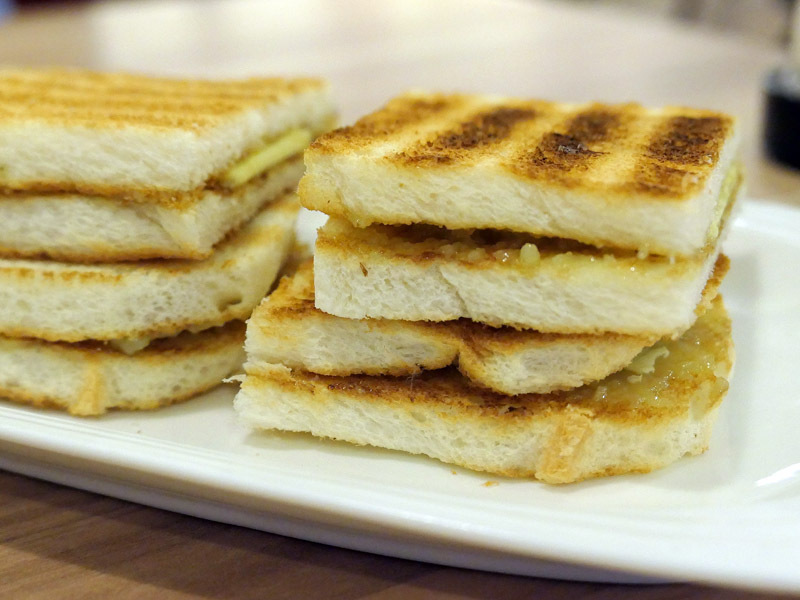 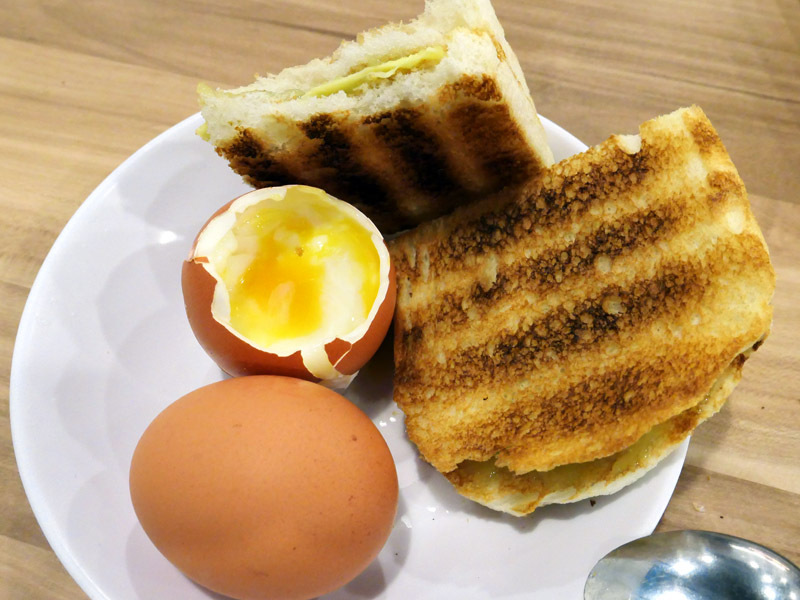 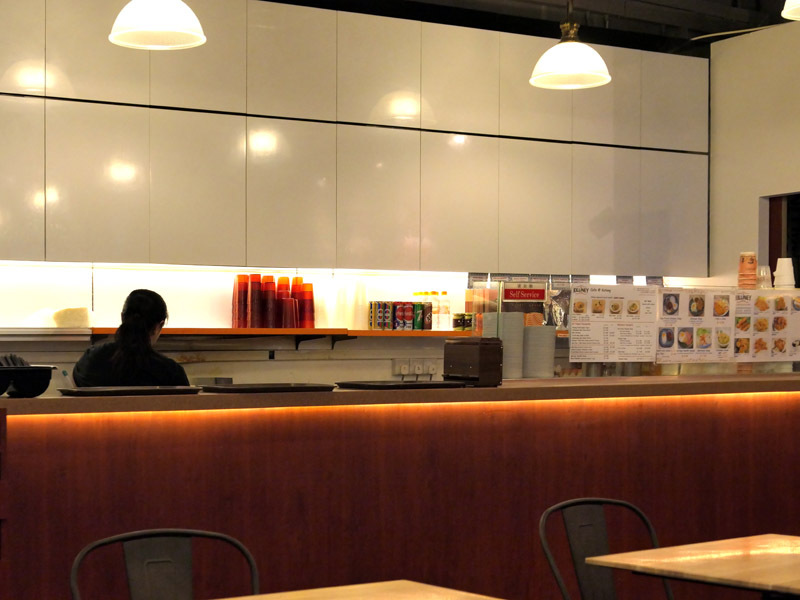 2 of you walk up to the counter, order, pay, sit down and out comes to the Kaya Toast with soft boiled eggs and 2 cups of coffee – may cost no more than 5 SGD !? 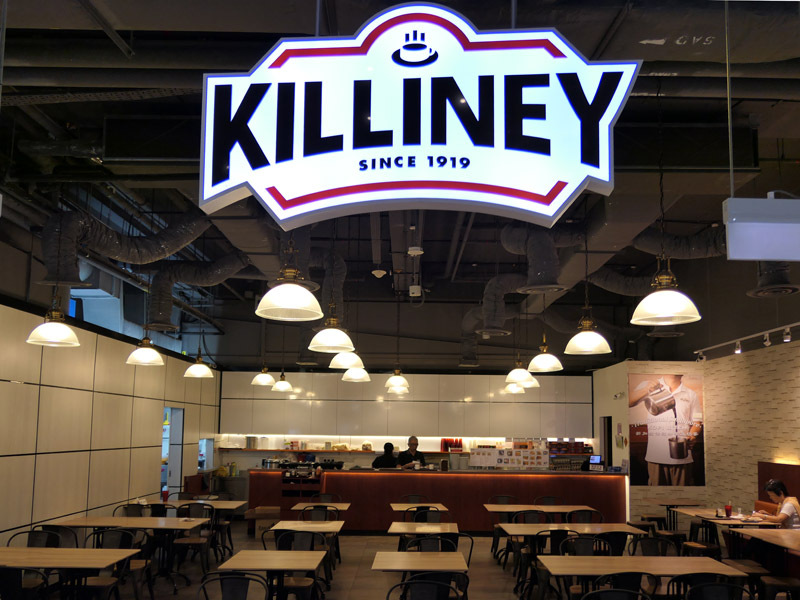 It’s a great deal, isn’t it ? 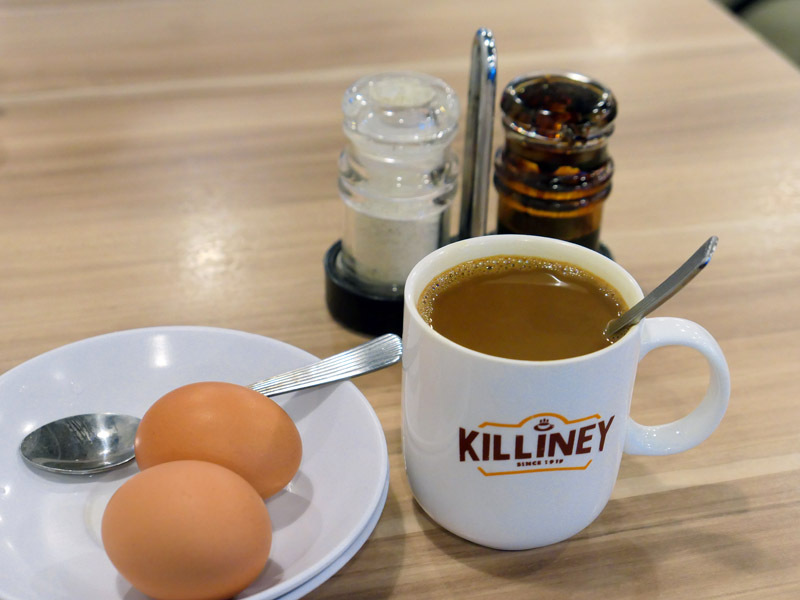 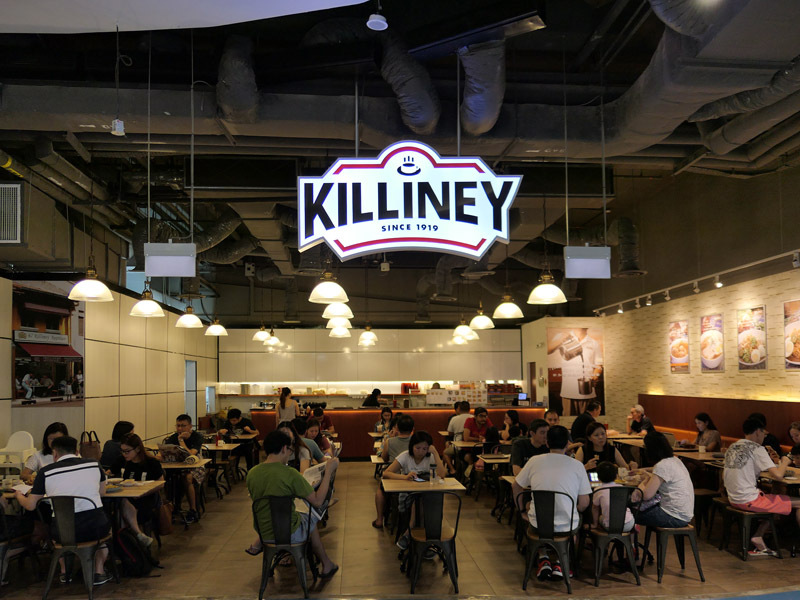 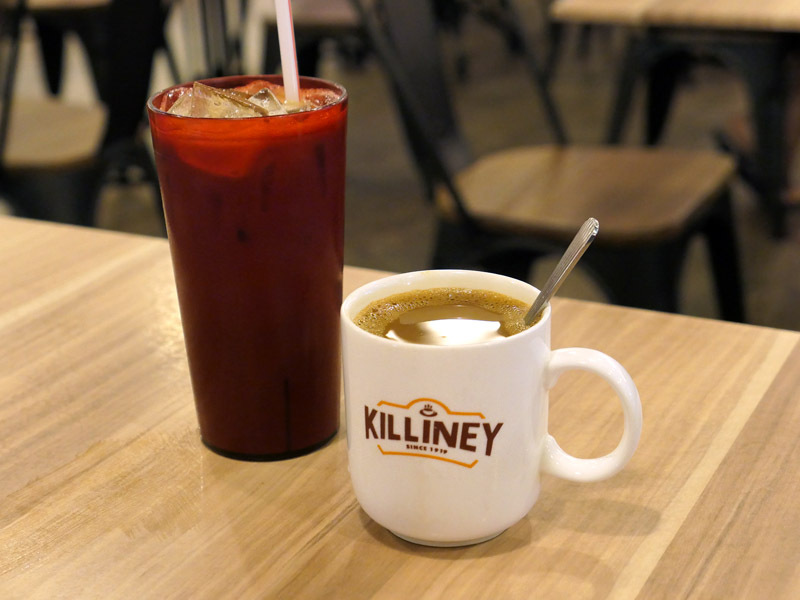 Nothing is fancier, plainer or simpler than the breakfast at Killiney Kopitiam, I imagine.